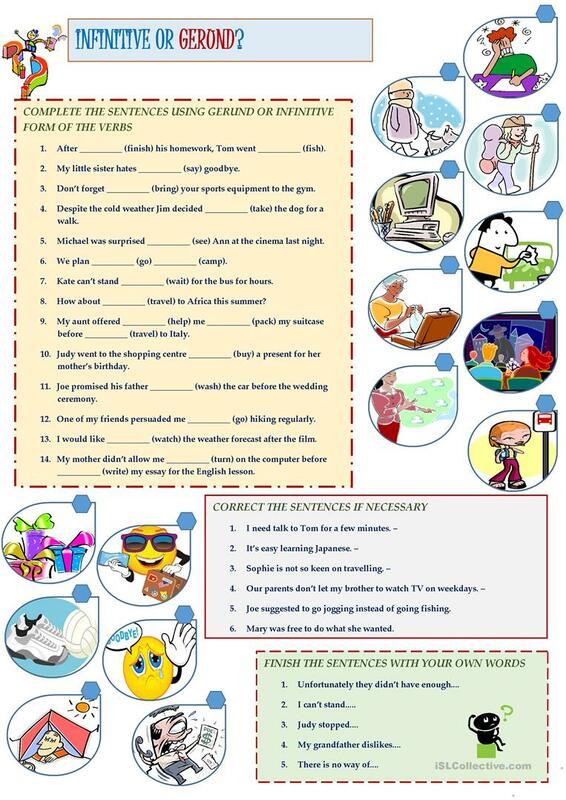 Students can practise gerund or infinitive verb forms with this worksheet. They have to do different types of exercises - they have to complete sentences, correct and finish them. The above downloadable teaching material is meant for high school students, elementary school students and adults at Elementary (A1), Pre-intermediate (A2) and Intermediate (B1) level. It is aimed at consolidating Gerunds and Infinitives in English, and can be used for developing your groups' Spelling, Speaking and Writing skills.